Functional rhinoplasty is a specific type of rhinoplasty done to improve the patient’s breathing pattern through the nose and get rid of symptoms brought about abnormalities in the anatomical features of the nose. Most of the time, functional rhinoplasty is done to patients complaining of nasal obstruction due to deviated septum. If a patient has a deviated septum, septoplasty (surgery to fix a deviated septum) is done together with functional rhinoplasty. And in doing functional rhinoplasty, it is up to the surgeon’s and patient’s reference as to how the procedure is going to be done, whether closed rhinoplasty or open rhinoplasty. 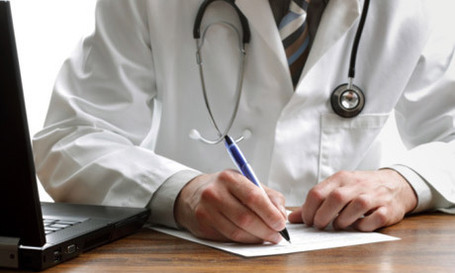 Infection – infection is most likely to happen if wounds are not properly cleaned and if the patient did not take his or her prescribed antibacterial correctly. Complications from the anesthesia – this type of complication is very less likely to happen. Patients that produce allergic reactions to the anesthetic used during the functional rhinoplasty procedure are the ones most likely to suffer from complications from the anesthesia. Hole in the internal wall of the nose or septal perforation – This type of complication will usually require another surgical procedure to fix or close the hole in the internal wall of the patient’s nose. Nosebleed – the risk for this complication is increased when lifting heavy objects and even straining post functional rhinoplasty. Worsening of the breathing pattern through the nose. As mentioned above, functional rhinoplasty is specifically done to help improve a person’s nasal breathing pattern. The improvement in the breathing pattern through the patient’s nose is the primary benefit for functional rhinoplasty. Aside from the improvement of the nasal breathing pattern, functional rhinoplasty can also help in improving the nose’s appearance, such as straightening the nose and make it look a taller and better. Functional rhinoplasty can even help in repairing post-traumatic deformities of the nose, as well as congenital anatomical defects of the nose. 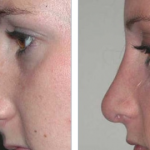 Functional rhinoplasty can even help a person improve or increase a person’s self-confidence and self-esteem. If you are having plans in getting a functional rhinoplasty, discuss with your doctor or surgeon about it.